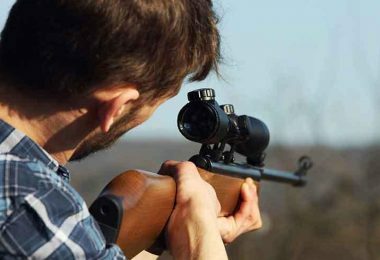 The question about the best varmint riflescope for hunting still lingers and remains unanswered. How a particular scope performs on one rifle may not be the case for you. But varmints have not changed along with technology, that’s why you’ll need a scope to fit your demands when in the field. Different scopes emerge every day claiming to perform better than other models. Where does this leave you? You are left to wonder why one scope is unique than the rest. Here, we bring you the tried and tested models whose performance is top-notch. They are the highest ranking and are significantly more useful than other models. Most animals in the varmint category are quite small, and they tend to camouflage effectively with the environment. You’ll need a large objective lens to gather as much light as possible to produce brighter images. This way you can achieve high resolution on further distances as some animals are dangerous, so you’ll require being yards away from the target. With a large objective lens, visibility in a low-lit environment is possible as it allows peak light gathering to detect and identify targets. But then you should be careful on getting exaggerated sizes as it impacts on the weight. Look for a scope that has a stop for click value. Ideally, if you cannot take consistent shots with the settings you make, you will be in for losing aims on fast moving targets. What’s the location of the turrets on the rifle, are they high enough or do they misalign the scope on the gun? Tall side focus knobs are preferred for windage and elevation adjustments so that you can make changes by feeling the turret. They should also offer a good level of resistance and quick grip. If your scope has a variable magnification, then the location of the zoom ring should be quickly reachable. The market offers either ballistic MIL/MOA reticles or BDC reticles. 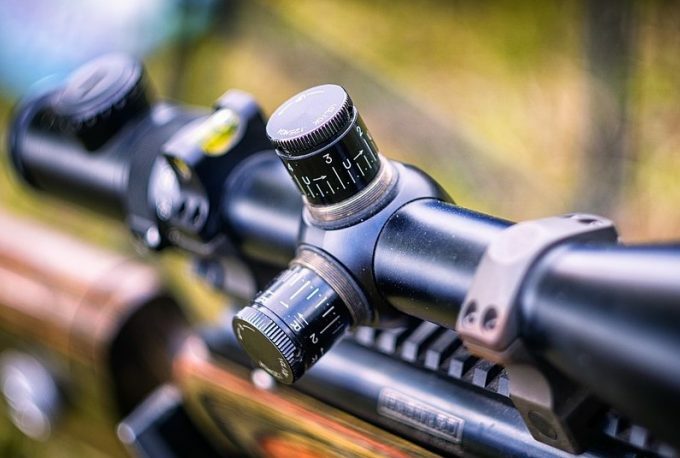 Ensure your scope matches the windage and elevation clicks with the MIL/MOA reticle if that’s what you’ll be using. This way, range estimation is easier. BDC reticles require you use distinct rounds. It’s important that the BDC reticle scope you choose is compatible with calibers available in the market. For quick target acquisition, the eye needs the correct eye relief. This is the distance from the eye to the focus lens at the rear of the scope. In the event of recoil, the scope may shift, and you’ll require seeing the whole image fast enough to take subsequent shots. A short eye relief is desirable for the purpose of varmint hunting. Reasons being that the scope will mount away from the muzzle. Consequently, you’ll balance off the rifle and recoil will be kept to a minimum. 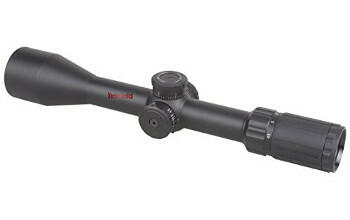 Most varmint riflescopes come with versatile magnification. How far you want to range will determine the range of magnification. If you plan on shooting over 800 yards, you’ll require significant magnification of up to 24x and for shorter distances up to 16x. Here, the catch is the higher the power, the smaller the field of view you get. This aspect means you should try and find the correct balance of the distance and the power you’ll need to make precise shots. Now that you have an idea of what the important features are to look for in this kind of scope, it is time to take a closer look at some particular scopes. We have rounded up some of the best options on the market today. The Tasco Target Varmint is a perfect accessory to your rifle as you venture into the woods. It comes with the necessary features to fit medium to long range shooting. With a mil-dot reticle, focusing is made easier and aligning your target with your point of aim is even better. With a 1-inch tube, it is perfect for maximum light gathering. The large objective lens is complimented by fully multi-coated lenses to enhance the brightness of the image in poorly lit environments. It gives you the advantage of contrast when animals blend with the environment so that you can tell them apart. 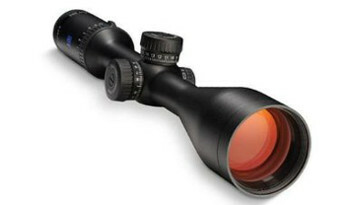 This scope features variable magnification which is of utmost importance when it comes to varmint hunting. You’ll need to be ready to shoot either at close range when the coyote is passing fast or when the prairie dog is lost in the distance. With the mil dot reticle setting for windage and elevation is simple. These settings are made easier with the allowance of ¼ MOA clicks on the turret. You can make adjustments even when you’re on the field when it’s cold, and you have on gloves. The turret is well-textured to give you the needed firm grip. The housing of the components is in one robust body to keep them safe against bumps. Hunting is always a thrill, but we encounter rough terrain where you may drop your rifle and the scope gets a hit. The good thing with Tasco is the shock proofing done on it. You can even hunt when it’s pouring. The settings remain intact since it is sealed completely from moisture and fogging that would interfere with the view. You’ll be impressed by the matte finish which comes in handy to mask yourself from animals in plain sight. Related: If you feel that the objective lens does not sit well with your gun, you will need the Tasco Centerfire Rings to provide your scope with better clearance when sighting. They come in a beautiful aluminum design that attaches safely using easy to handle tools. 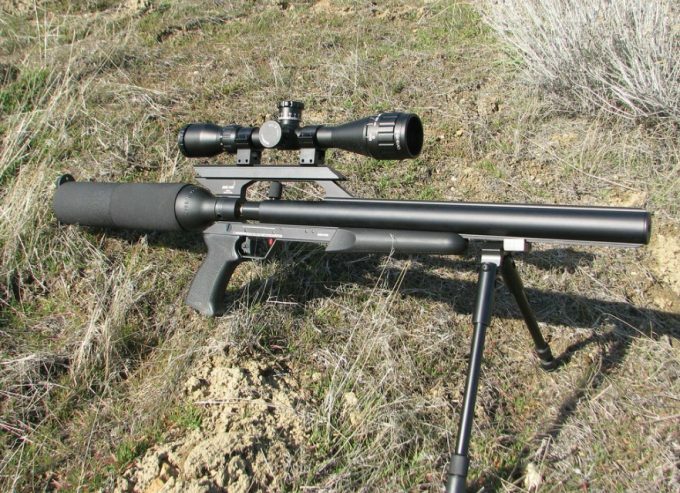 This Barska Varmint Target offers a lot for the long range hunter. It is the perfect choice for tackling the small animals that keep creeping at night through your cattle herd or otherwise. It is quite inexpensive yet so valuable when you use it. Starting with the dot reticle that makes sighting in very simple, you can make quick 1/8MOA clicks for windage and elevation. The adjustment turrets are placed high on the scope, and because you’ll mount it closer to the rear end of the rifle, you can make quick changes when taking aim. It is also recommended for precision hunting as you can acquire the exact kill point through the dot reticle. With the adjustable objective lens, setting for parallax is quick since you can align it with the focus. It has a short eye relief of 3.6 to help you see better for whichever setting you put the power. It also aids in achieving a full field of view and acquiring balance for the scope. This means your scope can take on recoil admirably. There’s a sharp eye focus always, to help the head align with the target. This way, you can compensate for parallax. When it comes to hunting, there’s no time as a wrong time. You’ll encounter rains or hot and humid environments. To ensure your scope is still useful, the BARSKA is packed in a durable aluminum alloy casing to keep away dust, moisture, and other particles. The fully multi-coated lenses will always work in good condition as it seals completely. The body features a black matte coating that is rust and corrosion resistant. It will last through its lifetime warranty when performing as good as new. Related: Don’t forget to carry the BARSKA 1-inch Riflescope Ring for Weaver mounting. They are a set of two that mount as low as 0.69” from the base of the rifle. They have an aluminum construction so they can steady the gun in recoil. The Tasco Varmint True is reliable for use with daily varmint hunting. It comes with a mil-dot reticle that facilitates faster ranging on targets over 600 meters. This means you can tell the size and identify the animal so that as you make your shot, it will be clean and precise. It also features an adjustable objective lens to manage the parallax that comes with zooming objects over 5xs. Since the scope come with variable magnification, you can set it as low as 2.5 when you want to take down close animals within 100yards. It enables focusing with a full field of view as such you can tell what’s going on in the background of the target. This way, setting for windage and elevation can be easily corrected since you have a view of what’s going on in the distance like whether it is hilly or windy. This scope explores Supercon, fully multi-layered lens to allow better clarity, high contrast, and bright HD images. The resolution experienced is seen to come through when you are up against animals that easily camouflage with the environment. They are also useful when you have to rise at dawn and need full brightness to take down that coyote that keeps coming back. This scope is shock-proofed and waterproofed; it has a robust construction and mounts low on the rifle with Weaver rails. Related: Since it does not come with the mounting rings we feel strongly for the Tasco High Centerfire Aluminum Rings. They come in handy to mount this scope because they have a one-inch tube diameter. They are useful in providing balance for your rifle so that it can maintain the zero settings. The Bushnell Optics Throw Down PCL is one envied scope among the best scopes there is on the market. It is an upscale varmint hunting scope with a particular focus to assist the user in taking accurate shots on an exact target. There’s no room for error with this scope as the calibrations are made with absolute precisions. It has a BTR illuminated reticle with eleven brightness intensity settings. It means you can adjust the lighting to fit the environment. When it’s dazzling outside, just dim the reticle and when it’s dark, adapt to the night vision, and you’re ready to go. The special focus for this scope is in the BDC reticle that allows usage with 5.56 rounds. It affords compensation up to 600 meters. This way, aiming and acquiring a precise range is made much easier. With the reticle in the first focal plane, it changes while you modify the power when closing in on the target. This means bullet drop is always correct at whichever magnification you set. However, it may glow at the highest magnification which is not ideal for tactical target shooting. Together with a throw down PCL lever, you can make quick adjustments even in the middle of usage. More efficiency is seen in the fact that it is corrected for parallax. However, you will not be able to mount this scope very low on the rifle since the adjustment knobs do not align with the mounting rail. You’ll need to have high mounting rings to achieve the correct height that can give you the right point of aim. 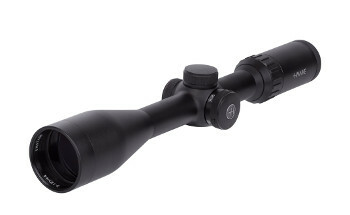 Bushnell Optics has this scope in an aluminum alloy body with an iodized finish. It seals completely with an O-ring seal to keep out debris and dust particles. Related: If you are new to hunting, get the Bushnell Bone Collector LRF Range Finder. You will be able to acquire the specific aim point of the target so that you’ll always be in the shooting range. It has one button operation and comes in camo color so that you can safely mask your position. It is rainproof and comes with its carrying case. Nikon ProStaff BDC Black Matte is the perfect go to in dangerous varmint hunting as you don’t have to get close to take a clean shot. It carries a 40mm lens ideal to gather enough light when you hit low visibility surroundings. On a dazzling sunny day, you can just dim the illumination when it starts obscuring the images in your field of view. This scope has versatile magnification, and as such, you can be ready to take close range shots with the see-through ballistic circles. It comes with multi-coated lenses that can acquire 98%of light in its path with minimum reflection. This means you can range out to over 600 yards and still get a clear shot. It comes with a quick focus eyepiece that has an eye relief of 3.7 inches. It can, therefore, achieve the balance needed for withstanding heavy recoil. It comes with the turret caps to keep the zero from shifting when you accidentally touch the knob. The elevation and windage modifications are made in ¼ MOA clicks, and since it can hold zero, it gives you the consistency of taking shot after shot with precision. The solid build of this scope is its principal attraction. It is nitrogen filled to prevent moisture from reaching the internal components. It also has an O-ring seal so that your lenses always have a clear view without dust clogging on the insides. It is not a very long scope so mounting it on a variety of rifles is possible. It does not come with the mounting rings, but it acquires a low profile once it is installed on your gun. The zero-reset turret is necessary so that after you reinstall your scope, you can engage with the previously set modifications. Related: Get yourself the Nikon Sunshade 40mm for this particular scope. You’ll be able to have your sun dimmer so that you can focus your scope without glare. It matches the matte finish on your scope. Also, there’s a reliable Nikon 1-Inch Riflescope Picatinny Rails Mount. It works best on AR15s to give the correct height that provides better eye relief. 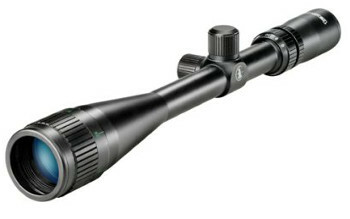 It has a durable aluminum alloy build to strengthen the scope further. 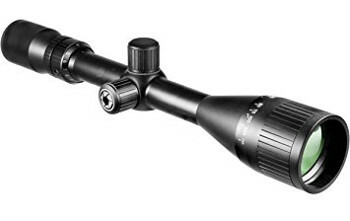 Carl Zeiss Rapid-Z Varmint Riflescope is the ideal scope for today’s demanding hunter. In the Conquest HD5 series, this scope is regarded as the most compact since it is lightweight and shorter than the rest of them. The target turrets are lockable, making it ideal when ranging out as far as 600 yards with repeatability. It has a multi-zoom system complemented by the advanced Rapid-Z ballistic reticles. The reticle sits on the second plane which is ideal to keep the point of aim within the correct zoomed range. You’ll love the high-resolution display that comes from the T coatings on the HD optics. 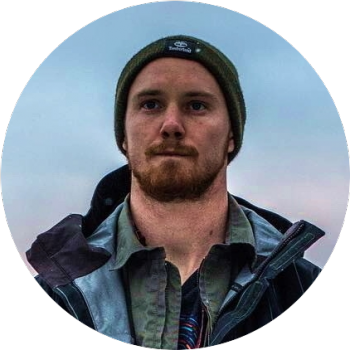 You’ll experience better clarity and improve your shots. With the 50mm objective lens, it goes without saying the scope gives significantly bright images. You can then fish out those animals that hide in the tall grass since with brightness comes better contrast. Sighting in is by ¼ MOA clicks where you can achieve windage up to 50 inches and elevation of up to 70 inches. Now you can delve in the 100% repeatable shot by shot especially when you are going after a fast-moving target. The Carl Zeiss comes with a small eye focus which allows 3.6 inches of eye relief. Since this is a compact riflescope, you can easily sight in as you make the scope sit very low on the rifle. You’ll then be able to balance out your gun in an ergonomic design that will help you with reaching to the adjustment turrets fast and easy. The scope is water repellant so you can venture in the rain and it will perform as it should with absolute clarity. Also, this scope is covered by a lifetime guarantee, meaning it is credible and authenticated. Related: You’ll love the Zeiss Conquest 10×42 HD Binoculars to complement your scope when you want to acquire the correct distance by studying your environment. It comes in a black matte finish, and you can use it whether you wear glasses or not because it comes with rotating eyecups. Do not leave the Carl Zeiss 50mm sunshade if you love hunting when the sun is up high in the sky. 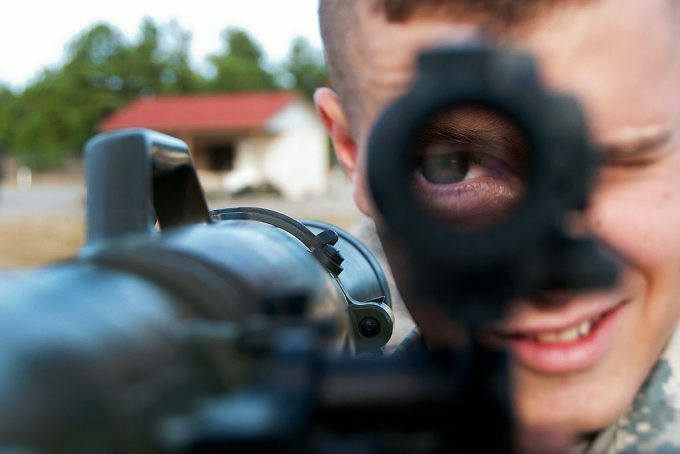 The TAC Vector Optics is the desired scope for precision aiming. This is especially true for hunters who engage in dangerous grounds but don’t want to be at close range to the animal. It is ideal for mid to long range shooting as it comes with a glass etched reticle. It can mount on even the heavy recoil guns, and the reticle will remain in its position. It comes with two sighting turrets where it provides 1/10 MIL corrections on the black turret while 0.1 MRAD on the golden knob. With the provisions of 25MOA windage and elevation adjustments, you’ll always be ready to take the most accurate shots. This scope comes with the zero-reset turret where you install it after sighting in to keep the zero from shifting. It mounts low on a weaver or Picatinny rail and achieves the correct balance on the rifle. 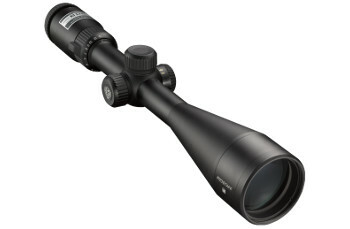 It also carries a versatile magnification system from 4.5x-18x. This power system lies in the medium range, so you’ll have a full field of view. Especially because of the eye focus which gives 3.7-inch eye relief. It is effective on long guns since it can mount further away from the muzzle. With the optics being fully multicoated, they achieve high levels of clear and crisp images with the ability to resist reflection and glare during the day. Its large objective lens is perfect for optimum light transmission to help you engage in low visibility environments. Don’t worry about the internal elements when you encounter diverse weather. It comes with a waterproof casing that is nitrogen purged, and it’s also shock and fog-proofed. It is, thus, reliable for everyday use. Related: To protect your optics cover, use the TAC Vector Optics Coat Scope Rainproof Jacket. It will prove useful in keeping your scope safe to prolong its life. The coat has a durable construction since it is made with thick elastic materials making it water resistant. 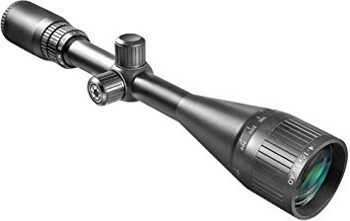 The Hawke Sports Optics is an excellent varmint hunting riflescope that excels well in mid to long range shooting. It comes in a one-piece tube perfect to keep the adjustment turrets at your fingertips. The reticle is a distinct ½ MIL dot which provides actual sighting when acquiring aim. 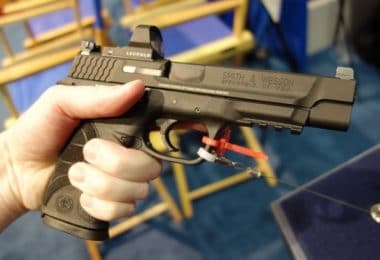 It can give multiple shooting points up to 10x power with solid holdover. It also has additional aim points between each dot on the reticle so you have versatile positions from where you can take your target. It comes with a quick focus eye bell to keep the reticle in sharp view. All the lenses are also multicoated to give the imagery deserved for low-lit environments. You’ll like that it has eleven layers of anti-reflective coatings, so it’s safe to explore random fields when masking your positions and not to spook the animals. With the 1-inch tube, the scope aligns with the rifle correctly, and the turrets have a low profile on the gun. They allow for proper windage and elevation adjustments for BDC sighting. It has a side eye focus that will come in handy when achieving parallax-free aiming points. The versatility of this scope comes where you can still use it in competitive shooting. It provides fast dialing and the edge to edge focus which gives the advantage of consistency and better judgment of where the target is. It also has flip up lens covers for better use to dim the lenses when the view is too bright. They are also important when it’s rainy, and you still want to use your scope. It is double braced with aluminum casing to effectively take recoil especially when you use it with the spring-piston rifles. It is also nitrogen purged and shock proofed, you’ll be safe in rugged terrains and wet environments. Related: Hawke provides a honeycomb sunshade 44mm suitable for this particular scope. This type of canopy improves scope performance by letting your eye focus using the light that’s on the scope to help accurate focusing. It weighs less than one pound and attaches easily on the scope. 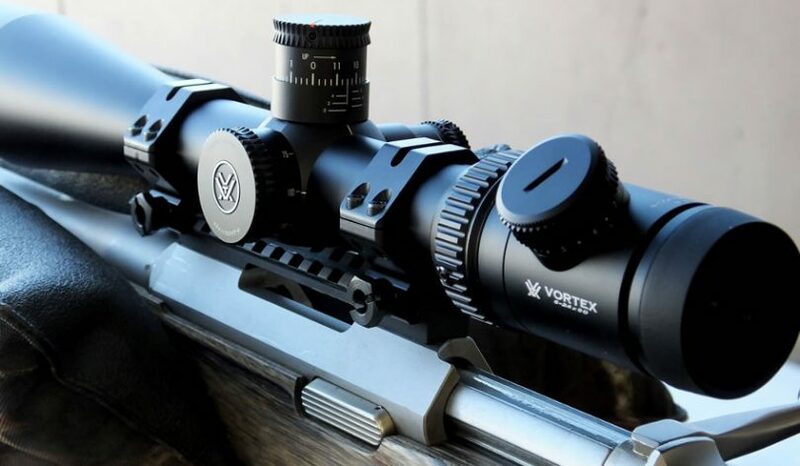 The Barska Varmint is a precision shooting scope. It fulfills the need for accurate long distance shooting by the avid hunter. From the one-piece tube construction to the multiple zoom options, you can tell the scope is up to the task. The zoom system allows for a full field of view since it is in the small range of variable power. You can focus on a full image with the allowance of 16ft for 100 yards at the lowest power but goes as low as 5.7ft at the highest power. Parallax is manageable with the adjustable objective lens. It does not allow using with two eyes open, but the view is not obscured by dark circles on the edge since it has a long exit pupil. Therefore, aiming out to over 500 yards is possible even in tactical environments. This objective lens measures 50mm, to gather light when providing bright, sharp images. 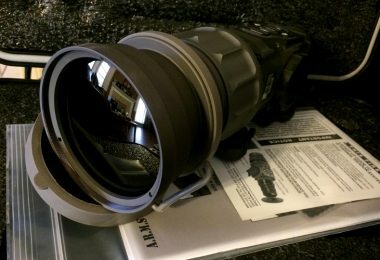 The multicoated lenses also play a part in eliminating reflective glare such that the light does not bounce off the scope; hence it gathers light to gain better-aiming points. 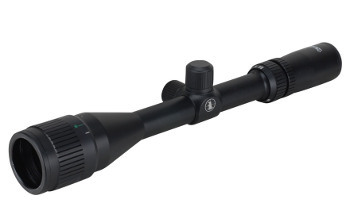 This scope carries the great 30/30 reticle which ensures achieving the correct range is fast. With the side adjustment knobs, one set for windage and elevation using 1/8 MOA click values. The side turrets sit high on the scope, allowing the scope to sit lowly on the rifle. They are textured to afford and secure grip and a smooth resistance so that you can feel the clicks as you make the adjustments. It is lightweight, comes with the lens covers and the lens cleaning cloth to maintain proper condition. You’ll love that it holds zero and mounts easily with flat rings. It is useful in all weather conditions, and although it does not come with the sunshade, you can use the lens covers to dim the light or purchase and independent cover compatible with the objective diameter. Related: Barska provides their 1-inch Dual Cantilever Ring Mount to go with the scope. It is ideal for both Weaver and Picatinny rails has an aluminum construction and comes with four industrial grade screws for secure scope mounting. Also, invest in the Barska HD-200 Loaded Gear Hard Case to store or transport your rifle, scope and other important and delicate outdoor equipment. It comes with superior cushioning and two padlocks for maximum safety. Since hunting provides unpredictable conditions, we believe you can meet your needs with any of the scopes above. They rate highly on the market and make for the most versatile designs. As you have seen, price does not always reflect on the quality of the scope that’s why we urge you to listen to your demands before considering the price. Most affordable scopes are also as reliable as their upscale counterparts. For the purpose of varmint hunting, we feel lighting is better than the magnification, but this also depends on your environment. Take your time, and you’ll acquire the most impressive of them all.